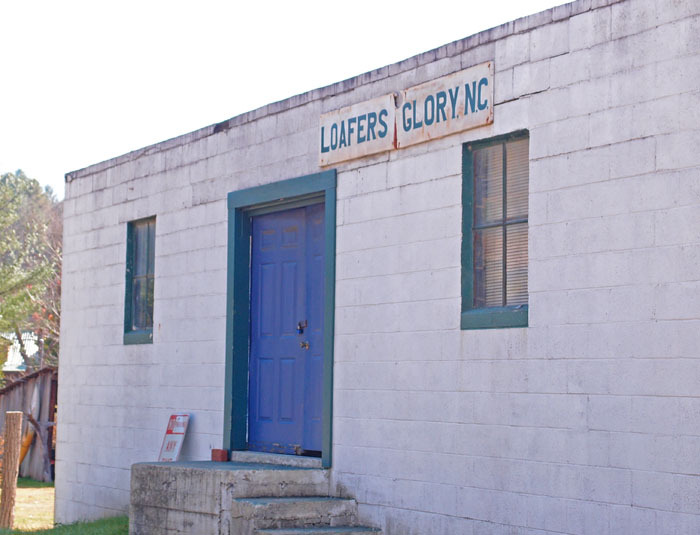 Loafers Glory NC. 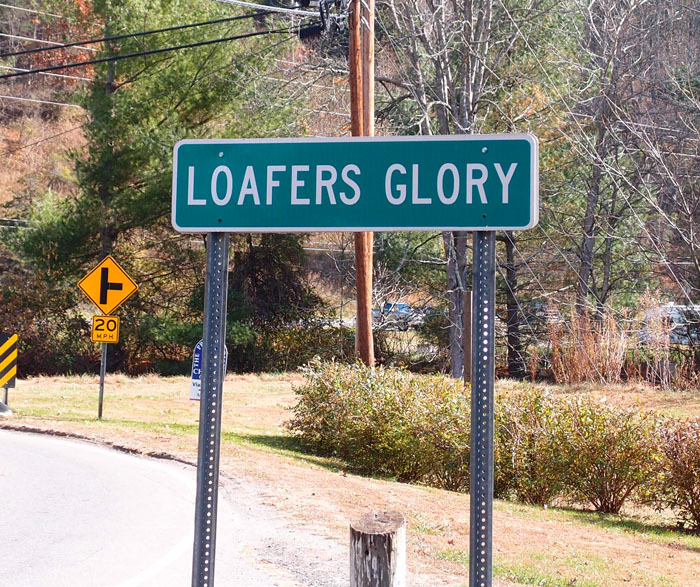 I didn’t think the actual place existed, because Google Earth lists it as Loafers Glory Rafting and Tubing. The business is there, but it’s closed and the property is for sale (this as of 11/3/13). 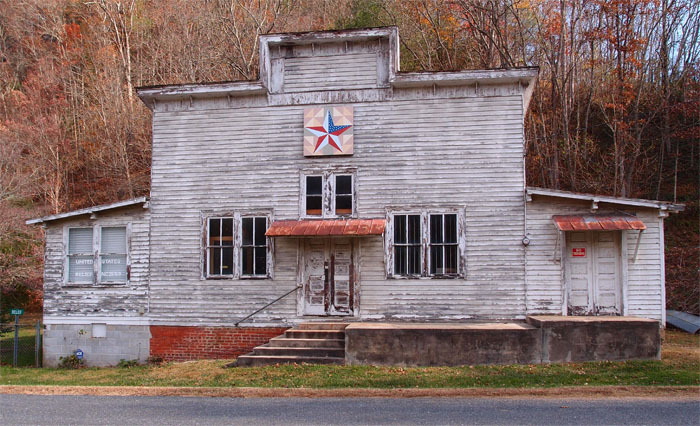 However, there’s a state-issued town sign in front of whatever this building is. Great name, though. Welcome to Relief NC, just off Hwy 197 between Green Mountain and Loafers Glory. This is pretty much all there is in Relief.